Do you end up grabbing the whole salad dressing bottle and stuffing it in your lunch bag when you pack a salad? I usually do! I’ve tried the little Tupperware-style containers before, but they really aren’t that little so portion control can be tricky. But look what I found in the grocery store last week! This small salad dressing container is made of silicone (and BPA free) so you can squeeze the dressing out. It holds 2 ounces of dressing so you can easily keep track if you measure your portions. 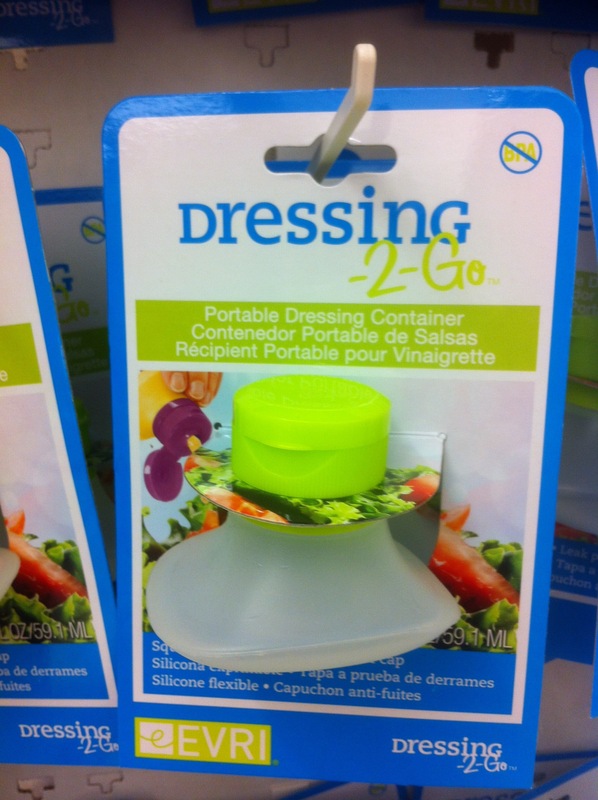 Plus, now you don’t have to carry the whole bottle of salad dressing with you, unless you want to of course! I found this gadget at my local Stop & Shop, but I also saw them for sale online.